We stayed at a house via Airbnb at a residential area 2 metro stops from Shibuya which was a super convenient location for getting around Tokyo. 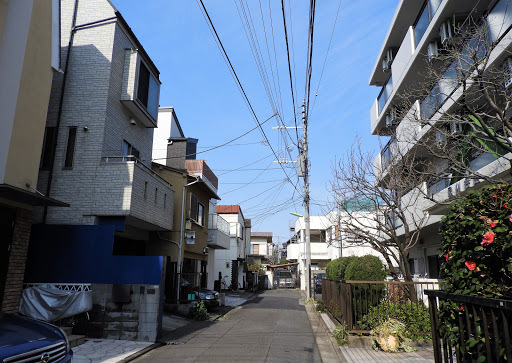 What surprised me about Tokyo was that even in the city center, the houses are not tall and you feel like you’re not in a big city. But all rooms and houses are small, of course. Overall really loved the house and staying there. It actually had even a small patio on the roof which would have been lovely on a warmer day. Unfortunately however it was pretty cold (10-13C) during our visit to Tokyo at the end of March.